New York, NY (June 4, 2014) – The life of James Brown is, simply put, the stuff that movies are made of: an orphan who rises from abject poverty to dominate the music world, an artist so innovative his style spawns not only subsequent superstars, but entire genres. 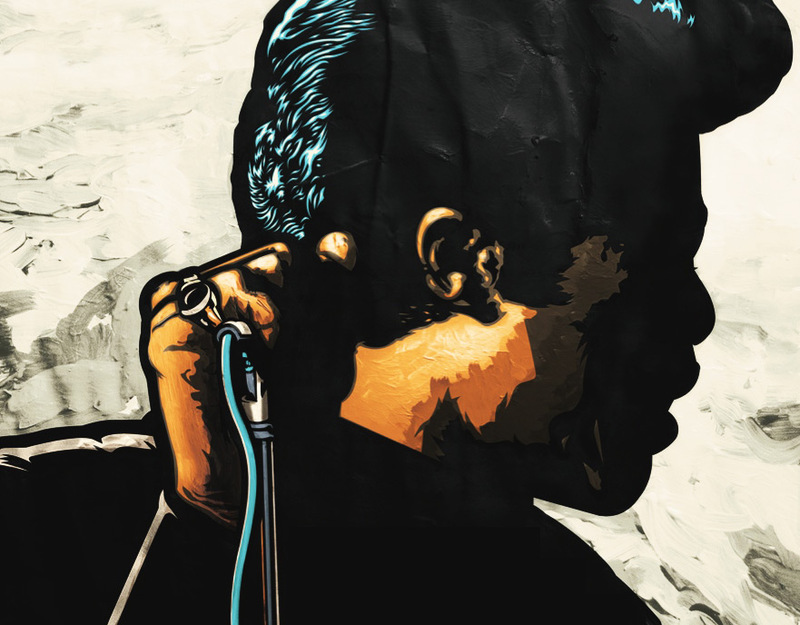 Trace the lines of 3 generations of global music icons including Kanye West, Michael Jackson, Prince and Fela Kuti and find that all roads lead to the same source of inspiration: the legendary James Brown. Without him there is no funk, no hip hop, no Thriller, no Yeezus, no Purple Rain. Celebrating the unrivaled impact of this creative genius, DJ/Producer (and composer for the recently Emmy-awarded film The Doctor) J.PERIOD presents… The Legacy of James Brown, an epic 80-minute journey through the life and music of the Godfather of Soul. Remixing over 60 JB classics, The Legacy of James Brown plays like a wall-to-wall musical treasure hunt of hip hop samples and sound bytes—a narrated musical tour for new generation of fans unfamiliar with hip hop’s true Founding Father. One listen and it becomes clear: James Brown influenced… everyone. Produced in J.PERIOD’s signature music-meets-narrative style, The Legacy of James Brown features interviews and sound bytes with fellow music legends Stevie Wonder, Michael Jackson, Afrika Bambaata, Rakim and more. The result – a seamless fusion of James Brown’s music and life story – has sparked rave reviews from music icon Questlove (https://twitter.com/questlove/status/473125617513562113), world-renowned DJ Jazzy Jeff (https://twitter.com/djjazzyjeff215/status/469274186045591552), and more!